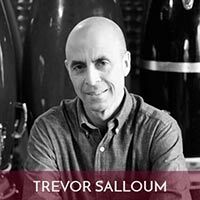 Trevor Salloum is well known internationally as a musician and music educator who specializes in Afro-Cuban and Jazz drumming. He has taught at universities, colleges and schools for over 30 years. He studied music at Notre Dame University, Banff School of Fine Arts and is a graduate of York University. He is a best selling author with international publisher Mel Bay Publications Inc. and has produced numerous books, CDs, DVDs and videos on drumming.